I recently learned that 50% of small businesses in the US don’t have a website. I don’t think time and money are the issue. I believe the biggest reason is that there are so many options available, it’s hard to decide which one is the best. If you’re not a computer person, websites seem complicated. Without good information, the simple solution is to just ignore the problem. Having been involved in the creation of perhaps 100 websites, I’ve gotten pretty good at narrowing down what a small business person needs to know. Each has their strengths and weaknesses, which I’ll describe below. This isn’t a detailed description, but more of a 10,000 foot overview. However, I guarantee you that every website falls into one of these three categories. Once you understand their pros and cons, you’ll be better prepared to decide which is best for you. Website builders make it easy to create a website. You pick a template design online, type some text, drop in some images (think MS Word) and it creates the entire website for you on the cloud. It will automatically include a mobile version with no extra cost or work involved. Cost is fixed at under $50/month. Anyone with a diploma could learn to maintain one of these sites in an afternoon. The disadvantage of a website builder is that you can only use the pre-made templates provided. Some are better than others. Make sure you find a template you like before you pick one of these. At the other end of the skill and price spectrum is hiring a web developer or company. A web developer designs a website from scratch on a PC, then uploads it to the internet. The design is limited only by your imagination, and once the website is complete, your only fixed cost is about $10/month for your domain and hosting. The challenge of building a custom website is that it’s like building a house – every tiny detail has to be considered. It’s not uncommon for a custom website to take 3-6 months and cost thousands of dollars. In addition, you’re totally dependent on the website designer – forever. If they get sick, you have to wait for them to fix a problem. Need an image updated? You’ll pay for the change. CMS websites like WordPress lie in the middle. Like a custom website, they need someone with skills to build the website. But like a website builder, they use templates and tools that are cloud-based. The advantage is that with thousands of pre-made templates and plugin applications available, a developer can quickly put together a professional website that is mobile ready in much less time and for less money than a custom-built website. The downside of a CMS is that it takes more skill to create and maintain a website than using a website builder. Premium templates and plugins cost a few hundred dollars extra. In addition, you’ll need someone trained to make changes and updates. You can learn to do this yourself, or you can pay someone a few hundred dollars a month to do it for you. Which kind of website should you choose? In my opinion, every small business or organization should start with a cloud-based website builder and create it themselves or with the help of an employee, friend or family member. A basic website can be built in a day, and over time they can create their content and add images. When they are ready to add new functionality, they can hire someone part-time or contract with a website company to create a CMS-based website. Only when a business can afford a full-time IT person on staff does it makes sense to consider a custom-built website. Which website companies should you avoid? I have some strong opinions on this. There are several companies who specialize in creating cookie-cutter websites for small businesses for a monthly fee (Yellow Pages, YP, GoDaddy). These are basically online business cards, and won’t do anything to help you grow your business. Also beware of companies who want to combine your website name, hosting and website design for a monthly package fee. The salesperson will tell you how simple it is to get started, but once they have your credit card, they’ll never let you go. My other pet peeve: I would never work with a website company who contacted me about creating a website or a salesperson who uses a gmail account. They don’t care about your business – they care about making a sale. Once they have your money, good luck. You own the domain – content like text and pictures can be copied from one website to another, but if you don’t own your own domain name you’re at someone else’s mercy. 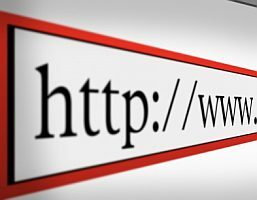 HTTPS – secure websites are the new norm. You don’t have to know what it means, just make sure you have it. Ability to make changes – need to add a picture, fix a spelling mistake, change your business hours, etc.? You shouldn’t have to pay someone to do this or wait a week until they get it done. Automated backups – these protect you from mistakes as well as hackers. Good backups provide peace of mind. Built-in SEO – when you’re ready to get serious about ranking your website for keywords on Google or Bing, you’ll need search engine optimization (SEO). Good websites have this built in. Blog – is a fancy name for articles, but to rank on Google you’re going to have to write them. There are lots of other features, but if you’re looking at a website that doesn’t have these, move on. What’s the number one problem for any website? Creating a website is relatively easy. Creating the content (text and photos) is not. If you have great content, it doesn’t matter what your website looks like. If you have poor or no content, the most attractive website in the world won’t get found on Google or help your business. While I recommended above that small businesses not start out by hiring a website developer, there is one instance it makes sense: when you hire an advertising agency to create your content and they hire the web developer. In this case, you’re depending on the ad agency to build your brand. To do this, they will need control of your website and content. It’s going to be expensive, but for some businesses, it will be worth it. If you want to sell a product online, your first goal should be to make it as easy as possible for both you and your customer. This way you can test the market to see if anyone is even interested in your product. If it doesn’t work out, you’re not out a lot of up-front costs. The simplest solution is to put a PayPal “Buy Now” button on your website. A customer clicks a button and sends money to your PayPal account using either PayPal or their credit card. The upside to this solution is that it can be implemented in an afternoon for free. The downside is that you have to create a button for each product you sell. In addition, customers have to leave your website to go to the PayPal site to pay. This will cause some customers to lose trust and not complete their checkout. The next solution is to use an e-commerce plugin. Several website builders have e-commerce built-in. If you are using WordPress, the most popular e-commerce plugin is Woo Commerce. The advantage of a pre-built e-commerce plugin is that it adds full online sales functionality for you to offer hundreds of products and variants (colors of shirts, sizes, etc.) instantly. The downside is that it costs time to set up. You’ll spend hours taking pictures of products, adding them to your website, connecting your shopping cart with your bank, configuring shipping label printers, and all the other tasks around e-commerce. If your site is going to focus on selling products, you should consider a website builder focused on e-commerce. The most popular of these are Shopify, BigCommerce and Magento. Shopify is the easiest to set up, but the others have more features. All allow you to create a seamless e-commerce checkout that rivals any world-wide brand. The only downside to these website products is that you have to use their shopping cart and pay their fees. The more you sell, the more you’ll pay. The most complex e-commerce solution is to hire a website developer. The advantage is that your checkout can be totally customized (think Amazon) and limited only to your imagination. In addition, this is the way to get the lowest credit card transaction rates. The downside of a custom e-commerce solution is that like a custom website, it can take months to develop, cost thousands of dollars, and require constant maintenance. In my opinion a custom e-commerce solution should only be considered by million dollar companies who have full-time developers on staff. How do I get customers to find me online? Having a website is only the first step. The next step is search engine optimization, and it’s what I’m best at. When you’re ready, give me a shout and let’s see if I can help.